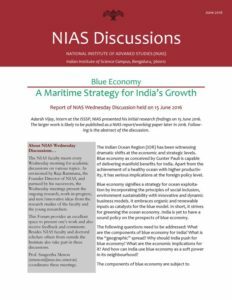 Dr. M. Mayilvaganan, Assistant Professor, ISSSP, NIAS presented his research on the tensions between India and Sri Lanka over fishing in the Palk bay on June 29, 2016 at the NIAS Wednesday Discussion Meeting. The already troubled waters of the Palk Bay were further muddied with the arrest of eleven fishermen during the first week of June 2016 and confiscation of their trawlers by the Sri Lankan navy over illegal fishing. This contentious and flammable issue not only makes headlines in the local and foreign media, but also been a serious issue in Tamil Nadu. From time to time, it stirs the resentment of the fishermen folk and political parties in Tamil Nadu, leading to demonstrations and even violent protests. Above all, it often boils into a major political controversy with the national and state political parties blaming each other for the crisis besides bringing the government of Tamil Nadu directly against the Centre.